I always thought that Pinterest was kind of annoying. Whenever I did a Google search on my android or pc, Pinterest feeds would pop up. And I never made the connection between Google search and Pinterest results. Duh! I did not see the value of Pinterest…yet. I watched countless webinars on increasing traffic, and they all talked about leveraging Pinterest, and I listened to them and looked at my Pinterest account and said whaaaa?? How can this be? I had no clue what people were talking about. How can a scrapbooking and recipe site help me?? And does any of this sound familiar to you at all? One thing I did notice is that courses that teach about leveraging Pinterest are pricey. Most of the ones that I saw were in the $197 range, or even much, much higher. To say I hesitated to spend the money on something I was not too sure of is an understatement. I have zero problems with investing in my blog, and 200 bucks is not a lot of money for education. If it produces results. However, I was still pretty skeptical that Pinterest would be worth it. I mean, it’s just another social media site right? My Review Rating: 5/5. Worth the cost with excellent Return on Investment! Anyone who knows little to nothing about Pinterest, or those who need to improve their skills using Pinterest. Also anyone who wants a ton of free traffic. Just sayin. Megan, the creator of Pinterest Ninja, says that she spent over $500 on Pinterest courses before she found a strategy that works (totally believable, by the way), and now she earns 6 figures (also believable). Not bad for someone who has only been blogging for a couple of years! Megan gives out lots of Pinterest advice in the FB group! This also applies to email, where I get same day replies. Super helpful. I believe that Megan is very knowledgeable about Pinterest, and she is very giving with her knowledge. The course is laid out in a logical manner, with each step leading into the next. The instructions are easy to understand and Megan clearly explains any jargon associated with Pinterest. I had no issues following the instructions and successfully completing the steps. It is designed so that by the time you reach the end of the 13+ chapters, you should have a new understanding of how Pinterest can help your blog and you should be seeing an increase in traffic and engagement at your blog, even if you are not using Pinterest daily yet. More about this below. Depending on how much of the course you implement (there is help with branding your website, learning to create pins and graphics, joining groups), you can complete the course in a few days or a few weeks. At the time I purchased the ebook/course it was one quarter the price of any other Pinterest course that I looked at! I decided to pay that much smaller amount of money to see if there is any value to learning about Pinterest. Even if this course was not as great as the others, at least I would find out some of the reason for all the fuss, and not pay a premium price if it was not what it said it was or if I did not care to implement it. Pinterest Ninja exceeded my expectations! What I got was an e-book of roughly 120 pages, with 13 chapters and the bonus chapter with freebies and discounts! There is a huge amount of value here. As well there are links to tons more training, including videos, downloadable custom pin board covers, and the FREE WORKSHOP “Let Pinterest Grow Your Email List”. As well, you get lifetime updates! Almost every chapter has links to other more detailed teaching, and this is a huge bonus. It is like Christmas morning, in that you keep getting more and more stuff! Pinterest Ninja was updated last week (today is March 20), and a lot more has been added since I bought in December. Pinterest updates constantly, so you are getting the most current information on Pinterest analytics and algorithms. Megan is also now offering a Pinterest Profile Audit as a package deal with the course. If you want to purchase this separately, it is $25.99. It is a personalized video and a PDF that Megan will send you after she has reviewed your Pinterest profile. It will be her recommendations for how you can improve your analytics, pins, and profile. -Setting up Pinterest for business or converting your personal account; learning how to use pins and pin boards. -Video tutorials on confirming your website with Pinterest, enabling rich pins, and starting group boards, searching for trending keywords and much more! -Branding your business, finding free stock images, creating pins with the new smart feed layout in mind (this information is gold!! ), and how you convert re-pins into website clicks, and more! -Understanding Pinterest SEO and how the Pinterest Algorithm works (aka “working the Pinterest system”). -How to monetize your blog, 85 affiliates organized by blogging niche, how to promote affiliates without writing blog posts, and more! -How to create your own profitable courses with Teachable!! This is actually pretty cool information. As well, there are some freebies included from other bloggers, like some free stock photos and discounts to other programs. Nice! I bought Pinterest Ninja at the end of December. Even just setting up my business account upped my stats (they were kinda sad at this point). I do recommend creating a new business account IF your niche does not align with your personal account. It is just easier than moving your personal stuff to “secret boards”, and makes it easier to share relevant pins later. I started following Megan’s directions, and then I got to Chapter Three “All about branding”, and I stopped. I kind of thought that I already had a “brand”, but Megan quickly showed me how to do it right! I could actually “pin” point (ha! see what I did there?) an increase of traffic after I did all of this, and it continued to climb in bits daily. I had to stop again when I got to Chapter Eight “Using Pinterest to grow your email list”. So I took a course on that as well. Busy winter! 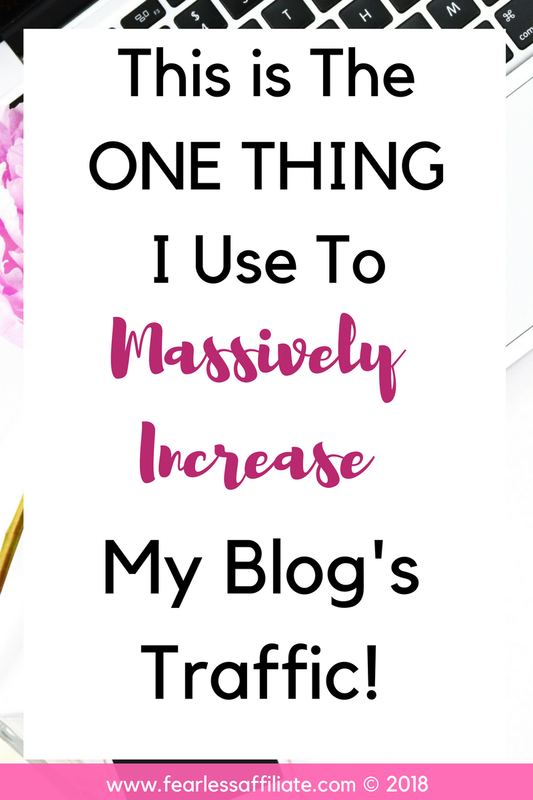 Megan gives you all of the information that you will need to create pins that convert (this is KEY), as well as all the tips, tricks, and strategies that you will need to start improving your traffic stats right away. Now, imagine what YOUR traffic will look like in a couple of months! …or by the end of the year! I could see the value of the program immediately, and I am sure that you see it as well. I am only promoting this product because of the traffic results that I am seeing in a very short time. Getting traffic from Pinterest is just the start of the sales funnel; I now have more people signing up for my newsletter daily, and that is translating into more affiliate sales for other programs that I review. That is hands-down my number one reason to recommend this course, and it has already paid for itself! 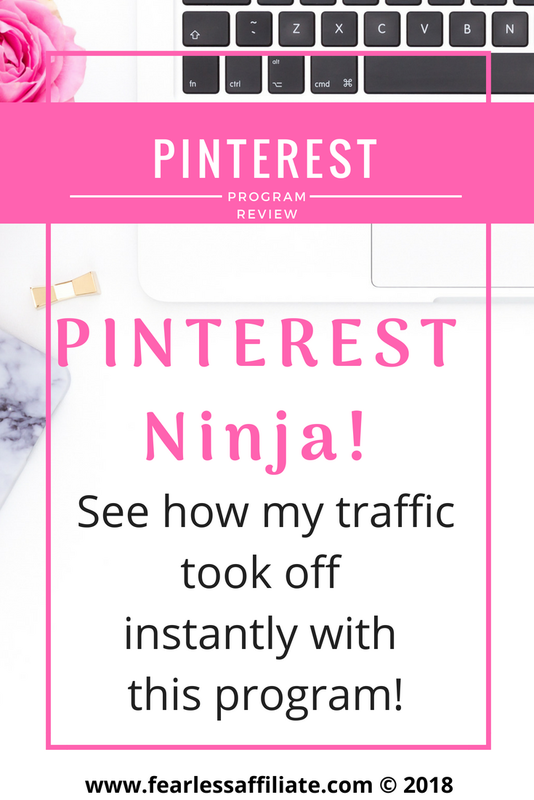 Traffic on Pinterest is converting to sales for me directly because of the steps that I have taken from implementing Pinterest Ninja. In Pinterest, your pins last forever! One of the very best reasons to use Pinterest is that your pins can be “rediscovered” at any time! 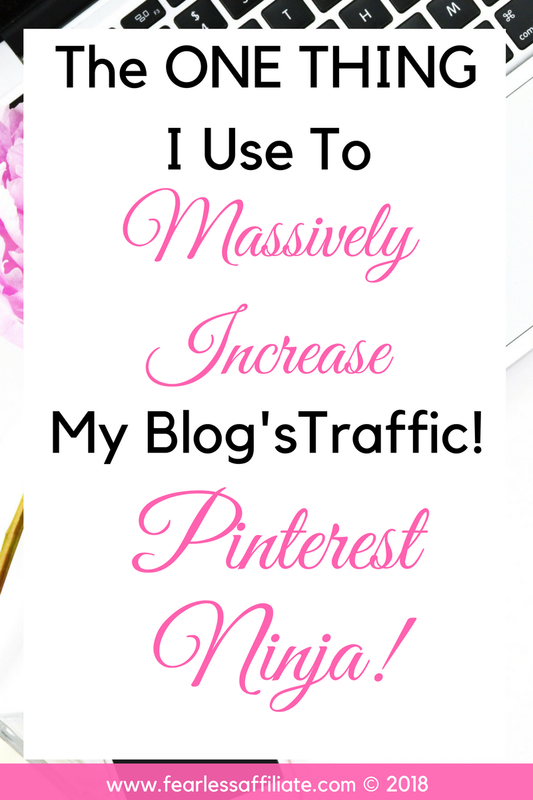 A really old pin that is buried at the bottom of your Pinterest feed can suddenly go viral and bring you new traffic! All it takes is for someone to go through your pin boards, pinning your content. They find a pin that you pinned last year, pin it into their board and it will be placed at the top. Boom, that pin is suddenly popular again. You will NOT get results like that from Twitter or Facebook. Tweets have a “shelf life” of about 15 minutes, and a post on Facebook lasts about 30 minutes before it disappears down the feed. Pinterest will promote you more based on how often you are online using it. Pinning daily rewards you by moving your pins up the feed because clearly you like Pinterest and go there often. Moving up the feed means that more people see your pins on their feed as they are scrolling and that gives your pin an opportunity to go viral, which can lead to blog followers as well. Keep in mind that Pinterest has 200 million users. Yes, 200 MILLION. That is a lot of people who can find your pins and re-pin or save them. A lot of high profile companies are starting to see the potential of Pinterest to drive traffic, and you should as well. Pinning once a day will help your analytics but not as much as pinning several times a day. You do not have to use a pinning tool for this, especially in the beginning when you are learning a lot of new “Pinterest skills” or if you do not have many pins set up. After you have everything ready and have updated your pins, consider a scheduling tool, or create a schedule for your manual pinning that spreads out pinning across the day to get the most benefit from using Pinterest. Related Post: Pinterest Strategies – what the April updates mean for Pinterest users. Well, I can go on and on about this course, but I recommend you at least check out the sale page and think about how the most economical and competitive Pinterest course that I have found can help you bring more traffic to your site. I was not expecting to learn some stuff about branding, or to get a list of 101 Facebook groups that can help my following, or the miread of other helpful information that is jam-packed into this ebook. Think again! 40% of Pinterest users are men, and this stat is steadily climbing, because when I first looked into this program in early December, the number of men on Pinterest was 37%. You may want to get in on this now. Well that is it for my review. In case you cannot tell, I LOVE PINTEREST NINJA. This has so far been the best and most economical investment that I have made in my blog, and I highly recommend it. **Update: May 23/18: Monthly pageviews at Pinterest are now over 50K. So 12 weeks from zero to 50,632. My Google Analytics sessions info is increasing by 50% every month now. « Finding a Niche That Works For You! Hi, Irma. Thank you for publishing this review. I love using Pinterest too. Especially because the pins are evergreen as you said. How many pins do you share from your website every day? I pin about 60 pins a day, about half mine and half 3rd party pins. I am also uploading a brand new pin every day from my blog posts into Pinterest. I have started using Tailwind, and I am monitoring its helpfulness. I sure miss Boardbooster (it was so much easier to use than Tailwind), but I have to keep moving forward. 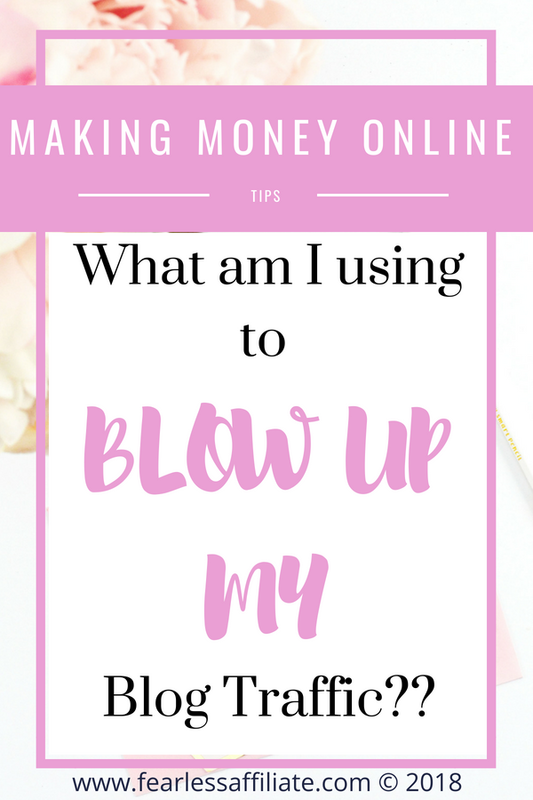 As an affiliate marketer myself, I’ve always thought of Pintrest as a “girly” social media site. Maybe I should think again? I have a niche site in the auto accessories field – do you think Pintrest would be a decent source of traffic for this? Hi Thomas and thank you for visiting us today! YES! A quick search at Pinterest for the term “auto accessoires” yielded the following sub-niche categories: Interiors, DIY, Ideas, Tips, Products and those are just the top 5. There are many more, and most (if not all) have their own sub-niches. Pinterest is a gold mine of blog post ideas. Another point is that beyond all the guys signing up for their own Pinterest account, many have wives or girlfriends who are on Pinterest as well, and if they find some awesome car product for either themselves for for a gift, they will be pinning these ideas. Get your pins on there!! Do it now!! Wow what a valuable course that looks proven to give results! i’d be happy to check this out for sure. Pinterest is such a wide network that it could be the perfect aid for my business and i’m happy i found your review! Hi Jeremy and thank you for visiting us today! I hope that you will consider the value of using Pinterest in some way because I think that Pinterest is the most undervalued search engine! Even daily manual pinning can help! No apologies needed here for the length of the post. This review is excellent and so interesting I couldn’t stop reading it! I agree with you, I coudn’t understand Pinterest and why bother to ‘pin’ pictures? but I joined a few weeks ago along with other social media. It’s hard to believe you can get so much traffic and make money and the price is so low. I do have an interest in this for sure and will see how I can manage to get this as soon as I can. Hi Patsy and thank you for visiting us today! I appreciate your comments, and that is why I did this post. I could not see the value of Pinterest until I took a course to learn the value! Crazy right? No one is giving this info away, which is a bummer. You can learn some of this stuff for free online, but a lot of people have taken courses about Pinterest and have now created their own courses which is capitalism at its best, but we still basically have to buy a course to get “the good stuff”. I just found Megan’s course to be reasonably prices among all the courses that I have run across. And of course now I see Pinterest courses everywhere lol. This is a great article as I’m really a pinterest newbie. To be honest I think the whole thing was quite confusing so this course looks like it would be right for me, I’ll have a look and keep you posted, sounds like it could boost traffic as well. thanks again great content to absorb. Hello Glenford and thank you for visiting us today! Well I do hope that if you choose to get started with Pinterest, that you find some quality education. It helps 🙂 Best of luck!! 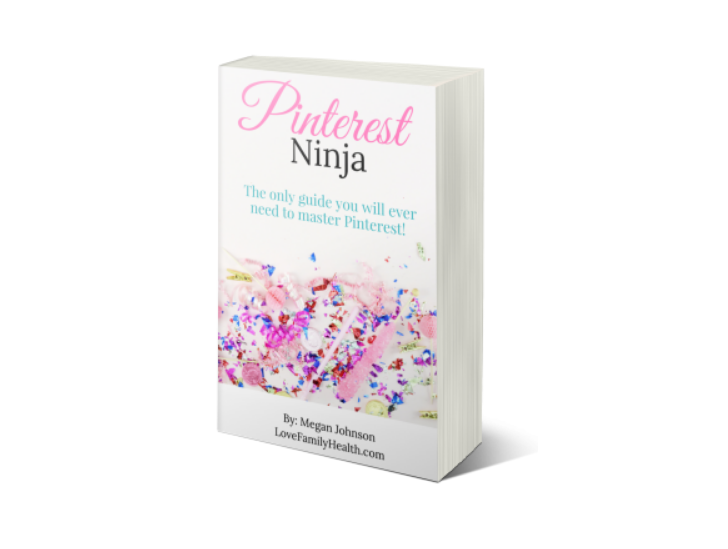 I love this review of the Pinterest Ninja course – I opened and saved the link to the course because this looks like something I could really benefit from. I have no idea how to incorporate Pinterest into my online marketing and it looks like my business might be able to benefit from this! Thanks for sharing. Do you know if the discounted combo price is for a limited time only? Hi Heather and thank you for visiting us today! The combo price is forever, as far as I know. Megan was asking us in polls in the Facebook group how we would like to get this option, because so many people were messaging her to ask for this service. Megan makes awesome pins, with examples of how she does A/B testing with them…so helpful. Well presented and eye-catching. You made a good case for the Ninja program — one I will consider. I liked a lot of what I saw here on the site, regardless of my decision. I will definitely be returning here for some tips! Hi Jace and thank you for visiting us today!